September | 2012 | COMO GIRLS ROCK! Join us on Tuesday, September 25th from 3-5pm at Sparky’s Homemade Ice Cream for an ice cream social! 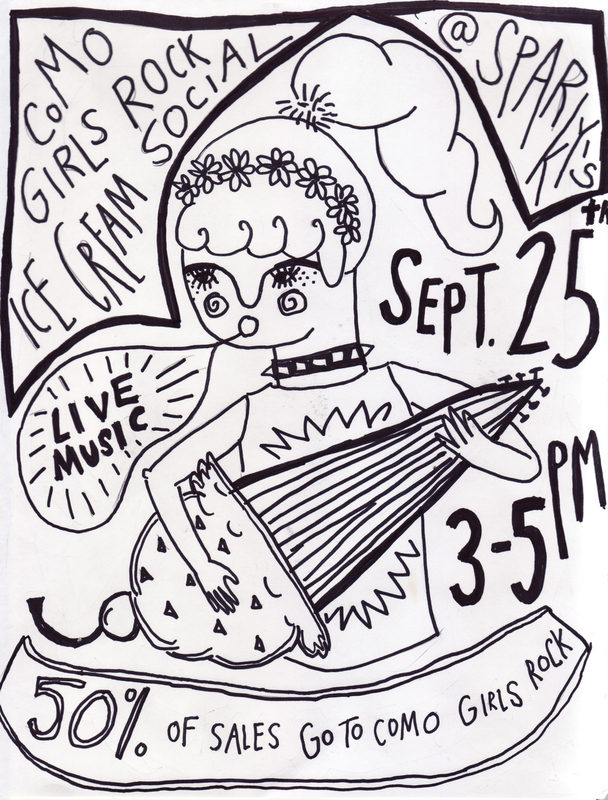 Sam Pounders, Delia Rainey and Lucy Mueller will play acoustic tunes to entertain and we will provide stickers and lots of information about CoMo Girls Rock. Sparky’s is generous enough to donate 50% of ice cream sales to help us file for non-profit status! RSVP on Facebook!